At 2.26 million, incarcerated Americans not only outnumber the nation’s fourth-largest city, they make up a national constituency bound by a shared condition. 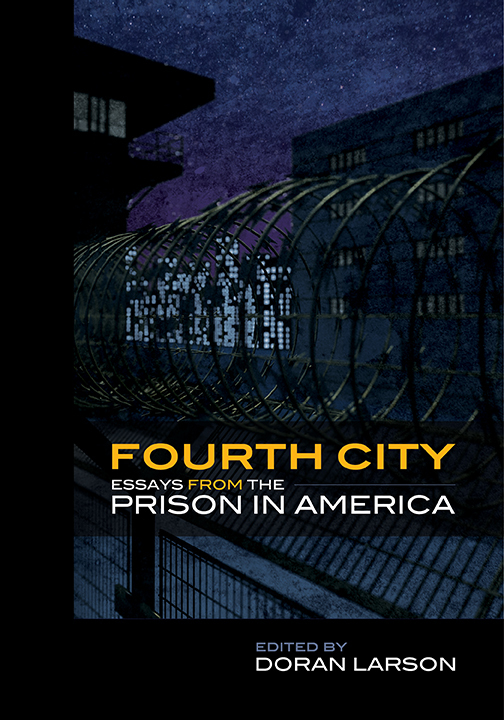 Fourth City: Essays from the Prison in America presents more than seventy essays from twenty-seven states, written by incarcerated Americans chronicling their experience inside. In essays as moving as they are eloquent, the authors speak out against a national prison complex that fails so badly at the task of rehabilitation that 60% of the 650,000 Americans released each year return to prison. These essays document the authors’ efforts at self-help, the institutional resistance such efforts meet at nearly every turn, and the impact, in money and lives, that this resistance has on the public. Directly confronting the images of prisons and prisoners manufactured by popular media, so-called reality TV, and for-profit local and national news sources, Fourth City recognizes American prisoners as our primary, frontline witnesses to the dysfunction of the largest prison system on earth. Filled with deeply personal stories of coping, survival, resistance, and transformation, Fourth City should be read by every American who believes that law should achieve order in the cause of justice rather than at its cost. Doran Larson is Professor of English and Creative Writing at Hamilton College in New York. "This volume is the first to assemble the voices of that singular metropolis in a manner that serves as a testament to the lives of unprecedented numbers of people in cages. Practical, poetic, wise, informed, wounded, wounding, alive, in tones of despair and hard-earned hope, they illuminate the arc of everyday life in the world’s largest carceral regime with laser precision…This volume should be in classrooms, libraries, bookstores, prisons, and on the bookshelves of every citizen." "Behind bars there is an alternative social order, and that twisted order has everlasting psychological effects on the person that has to endure/survive a segregated community with little or no rehabilitation. Larson has collected a mosaic of language that helps to explicate the failures and misconceptions of the Prison Industrial Complex in the United States." "This book offers an inside perspective that is unparalleled in its contribution to our understanding of imprisonment. The organization makes sense and offers a valuable framework for this comprehensive treatment."